We arrived in Calabria! The toe of the Italian boot, where mountains and sea merge into picturesque landscape. Christmas in Calabria, as in all of Italy, is the most awaited and felt time of the year. And every year Christmas traditions are repeated, families make the tree and the crib that accompany the whole festive period, all enlivened by songs and music of the bagpipes traveling the roads. 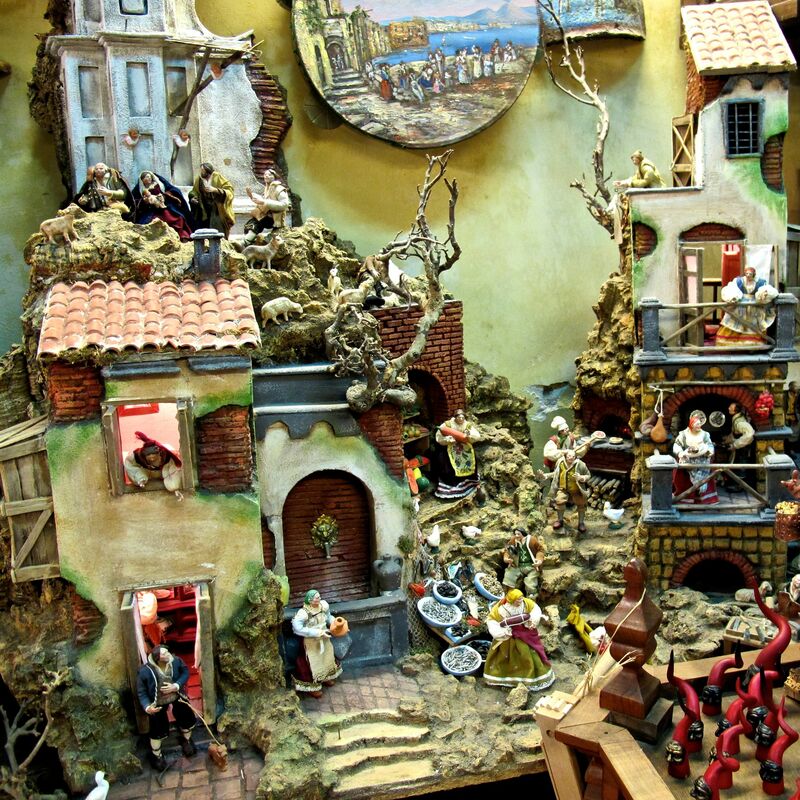 But Christmas in Calabria has also a folkloristic flavor with magical and religious traditions. You can still find villages where time seems to stand still. The most important feature of the Calabrian Christmas is definitely the crib. All homes have one: an act of religious devotion, but also a centuries-old tradition to which no one wants to give up. A passion firmly anchored to the principles brought forward from generation to generation. It is made with raw materials (moss, bark, stones, lime, flour, etc.) for the choreographic realization and construction of landscapes, snow-capped mountains, small houses, trails, streams. And here we are in Basilicata! It is a beautiful region at the centre of Southern Italy and it is also known as Lucania. Today Christmas in Basilicata means traditions, scents, colors, parties and very good food. It is a religious holiday that always manages to keep alive rituals transmitted from father to son. Year after year the gestures are always the same, even if the ritual that is repeated with more energy is the cooking, as indeed in all Italian regions. And the table is still the place where the family comes together, where to breathe the scent of the peasant and pastoral past. 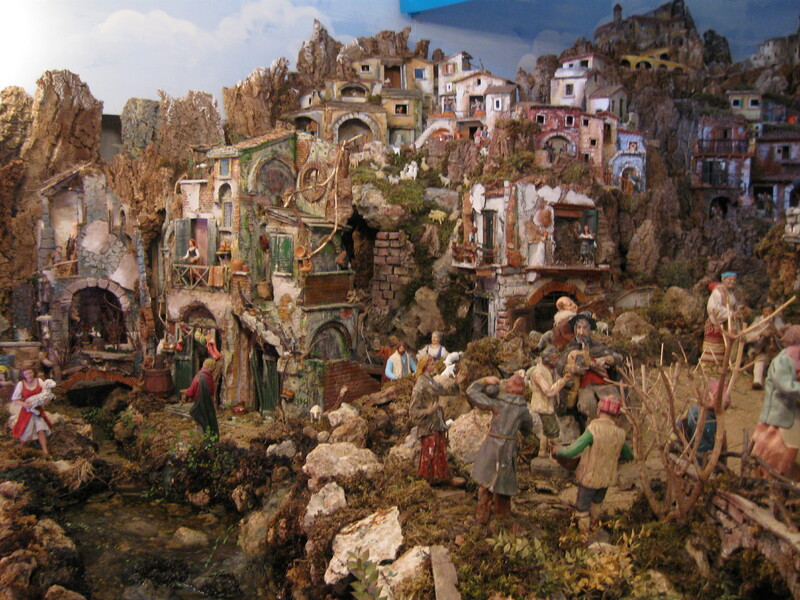 Basilicata has a long tradition of living nativity scenes. Small villages and charming old towns become enchanted scenarios as the setting and recalling the Nativity. One of the most famous is the Living Nativity set in Matera but also in Sant’Angelo le Fratte, Muro Lucano, Filiano and in many other municipalities of the region. 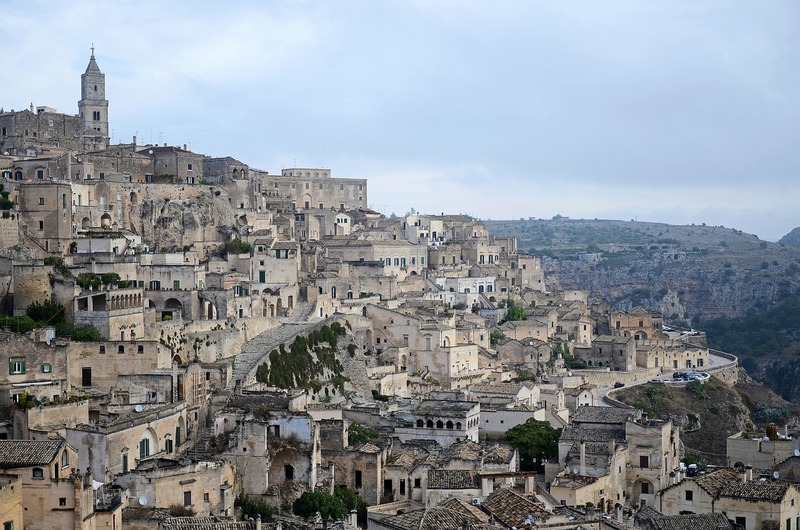 Sassi of Matera, Unesco heritage, celebrate Christmas with a Living Nativity since 2010. The hearth of the holy family becomes the hearth of an entire city and a unique place. Ancient town carved into the rock recalls the original place of the Nativity for its natural shape, for the uniqueness of the landscape, for the balance between human settlement and the ecosystem and for the continuity of life from prehistory to the present. The Nativity takes place in eight scenes as a theatrical play. It refers to the Roman era: the ancient crafts of the soldiers to the vendors of various goods. While all Sassi are illuminated by a big comet. And here we are in Campania! A land rich in Christmas traditions with a strong sense of family and joy. In Campania first of all Christmas means to be seated around a table with family. It is one of the most anticipated moments and emotion of the entire year, an essential ritual. There is no escape, at Christmas home is the place to stay. In the company of your family to eat, drink and play. Everything must be perfect, table setting takes on a lively tone; mistletoe, angels, coloured napkins and many many dishes. A proper tour de force filled with joy. The festivity, or better, the festive season, witnesses the fervent preparation of the two main meals: Christmas Eve Dinner and Christmas Lunch; on St. Stephen, the 26th December, usually people feast on tons of leftovers from the two days before. When speaking of Christmas in Campania immediately thoughts also turn to the traditional and historical crib. In most of the towns there are organizations and groups of people that every year repeat the ritual of setting a nativity scene. The crib was and remains a way to represent not only the sacred but also the realism of everyday life. In Campania, the crib is more than a tradition. It is part of everyone’s life, it is an act of faith and a time for family and social gathering. The first place where to enjoy Christmas in Campania must be Naples. It is a special place with a breathtaking beauty and uniqueness. Full of contradiction, between spirituality and passion.